I made some friends at Slab BBQ. Probably because I’ve been hanging out there too much. The food is so good, I can do my work at the bar in peace, and quality beers on tap. One of the bartenders is not to hard on the eyes either. They treat me so well, I started snapping photos of their food. Their ribs are good, what can I say. Yes, I sometimes take photos in heels. Since the portions are plentiful, I asked them what to do with leftover meat. Mark, the menu planner, shared a fantastic brisket jalapeño popper recipe. He also threw in an alternative for strawberry habanero cream cheese. So, you’re welcome. To begin your brisket jalapeño poppers, slice the jalapeños lengthwise. Using a spoon, remove the seeds and membrane. Fill one side with cheese, and the other with leftover brisket. Alternatively, place cream cheese in one half and then your favorite pepper jelly in the other (I use strawberry habanero). Wrap a slice of bacon around the jalapeños. If the bacon is not staying tightly wrapped, it may be necessary to use a toothpick to hold it in place. Smoke the brisket jalapeños poppers in the smoker. Heat to 300 degrees. Cook for 45 min, or until the bacon looks nice and crispy. You can also place directly on a grill at med-high heat for 20-30 min. Flip them every 10 minutes to ensure the bacon cooks thoroughly. You can make any mixture filling combination you want. There’s so many BBQ and jalapeño poppers combinations! 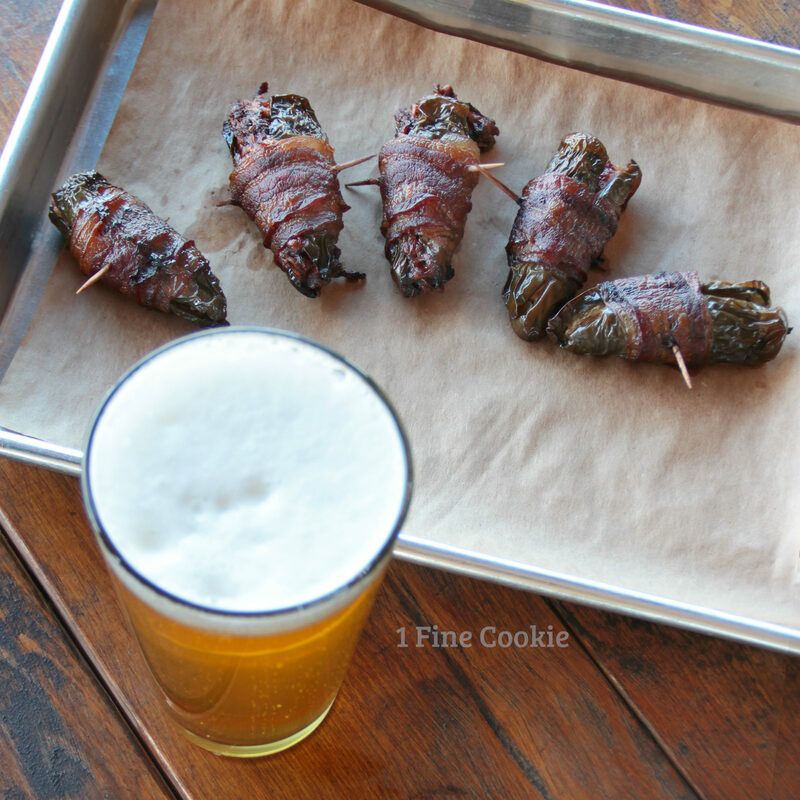 Eat your jalapeño poppers with a side of beer. Because I said so. …and visit their locations in Austin, TX. 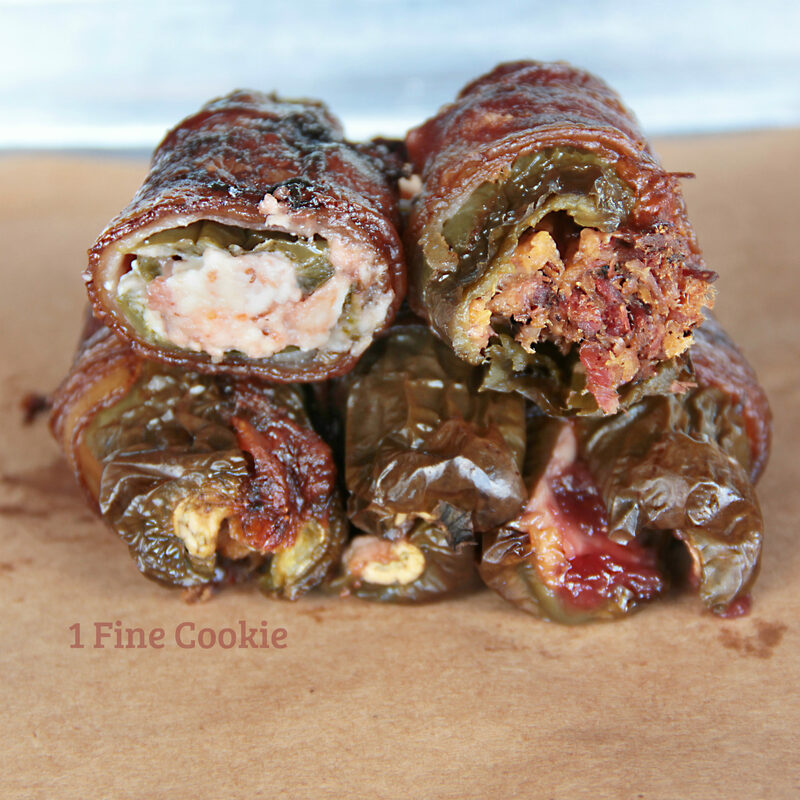 Create one-of-a-kind brisket jalapeño poppers. It's the perfect combination of BBQ and Tex Mex. Fill jalapeños with strawberry habanero cream cheese as an alternative. Slice the jalapeños lengthwise. Using a spoon, remove the seeds and membrane. You can make any mixture filling combination you want. There's so many BBQ and jalapeño poppers combinations! ***If you are considering posting up photos or ideas from this Brisket Jalapeno Poppers post or any other posts I am truly happy that you find my recipes interesting enough to share with others. Writing and photographs are copyright protected under the DMCA (YES, this includes ONLINE), unless otherwise noted. Please see copyright standards in the footer (bottom) BEFORE you use photographs and/writing from this website.